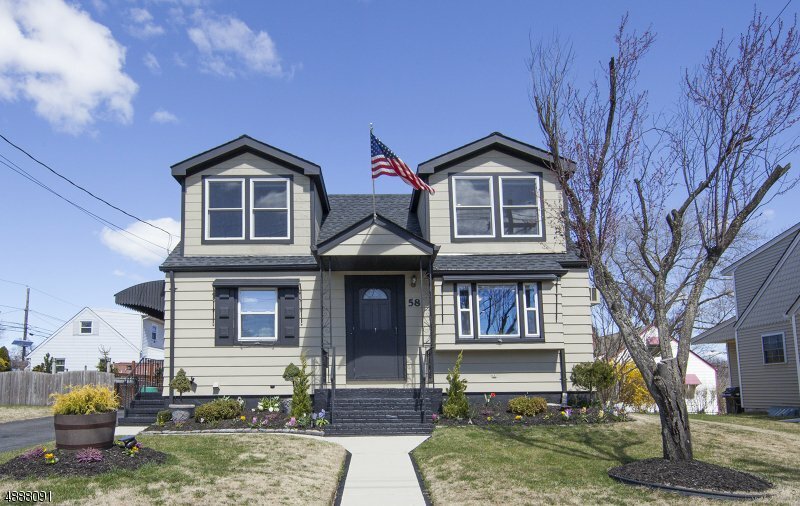 PRISTINE, COMPLETELY UPDATED 2/3 bedroom MOTHER/DAUGHTER expanded Cape close to Upper Montclair border. Whole house custom renovated in 2016/17. Inc. eat-in kitchen w/breakfast bar and eating area. SS apps. granite counters & ceramic tile flr. Full bath 1st flr. Hardwood flrs. throughout! 2 lg. bdrms. on 2nd flr. w/new windows & tons of light. New bath has spa like 3 headed shower w/seat. Huge walk-in closet in hallway w/barn door. Basement currently used as sleeping space/family room w/half bath & laundry, full kit. w/gas stove, sink and new full size fridge. 3 tiered pressure treated deck newly painted, inc. 2 outdoor heaters. House includes 8 ceiling fans w/lights, washer/dryer, brand new 200 amp electrical panel, all new plumbing, 2 new AC units,1st & 2nd flrs. piped for ductless AC units & compressor.